In western Europe the Black Kite is a fairly rare bird. But those who have ever been in the large cities of Asia know that Black Kites are often seen at dumping grounds. 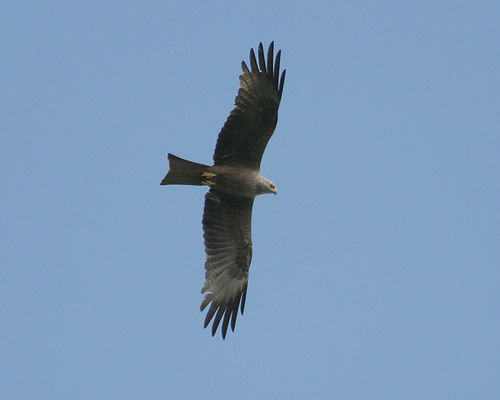 The Black Kite is dark brown, the Red Kite combines reddish brown and grey. 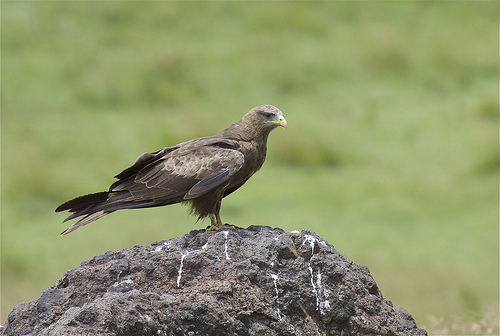 The Black Kite has a forked tail and no white head.